Only six seasons into her career as a head coach, Yolett McPhee-McCuin has already demonstrated an ability to turn programs around quickly. Prior to hiring McPhee-McCuin in 2013, the Jacksonville University women’s basketball team only had three winning seasons in its 14-year history. In five seasons as Jacksonville’s head coach, McPhee-McCuin won 60 percent of her games and led the Dolphins to their first NCAA Tournament appearance. 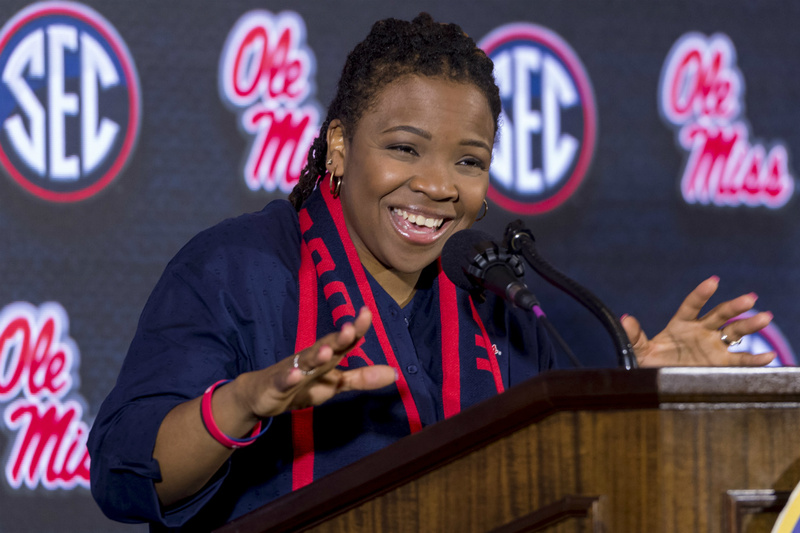 McPhee-McCuin, who was born in the Bahamas and played most of her college career at Rhode Island, took on a new challenge when she was named the Ole Miss head coach on April 4, 2018. The Rebels haven’t made the NCAA Tournament since 2007 and went 9-39 in SEC play the past three seasons. After losing her first three conference games, McPhee-McCuin got her first SEC win on Sunday when the Rebels went on the road and defeated No. 16 Kentucky, 55-49. It was the program’s first win at Kentucky since 2007 and its first road win over a ranked opponent since 2011. Following the win, the coach sent out a tweet giving thanks to God. McPhee-McCuin is not shy about sharing her faith and expressing her gratitude to God through social media. Ended 2018 with a blessing! My former players, staff, friends and family made me a video for my 100 wins. I got so emotional! I thank God for the people He has put in my life! If He didn’t do another thing…. it would be enough! Happy New Years Eve! If her past success is any indication, the upset win over Kentucky is just the beginning for McPhee-McCuin and the Ole Miss women’s basketball program.